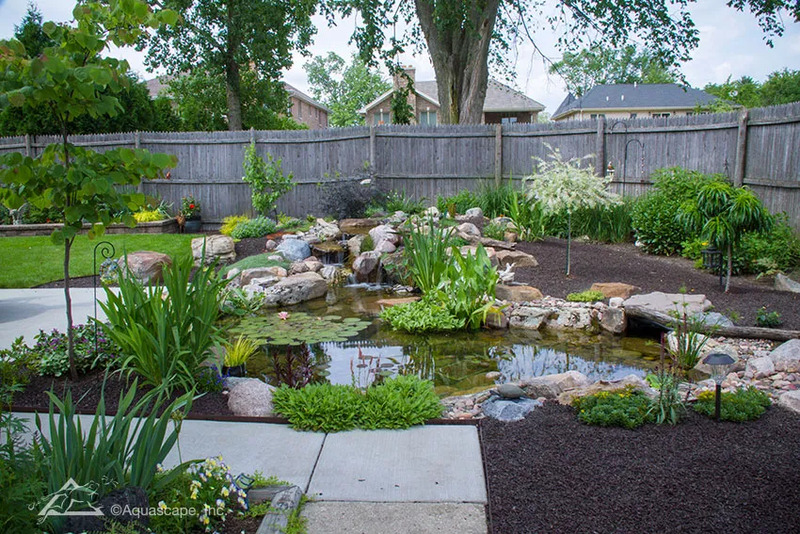 Aquascape EcoWave™ Pond Pumps are magnetically-driven (mag-drive) pond and waterfall pumps developed to provide high flow rates at low head heights. 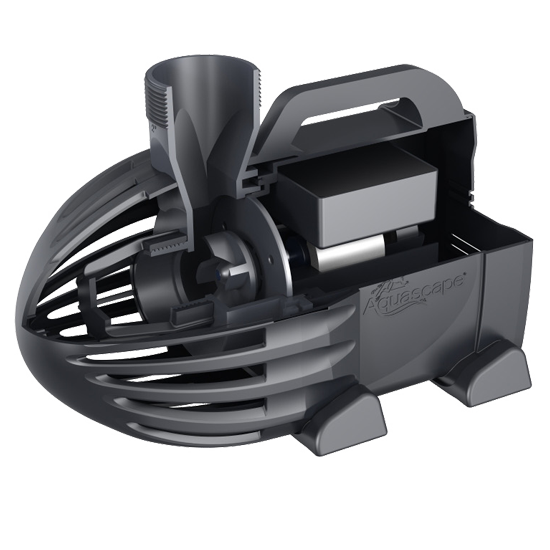 The internal, smart mag-drive motor technology and vortex style impeller ensure unmatched electrical efficiency, minimizing the electrical consumption of your pond or waterfall. EcoWave Pond Pumps are ideal for use in pond skimmers and Pondless® Waterfall Vault applications. Learn the many features and benefits of EcoWave Pond Pumps. 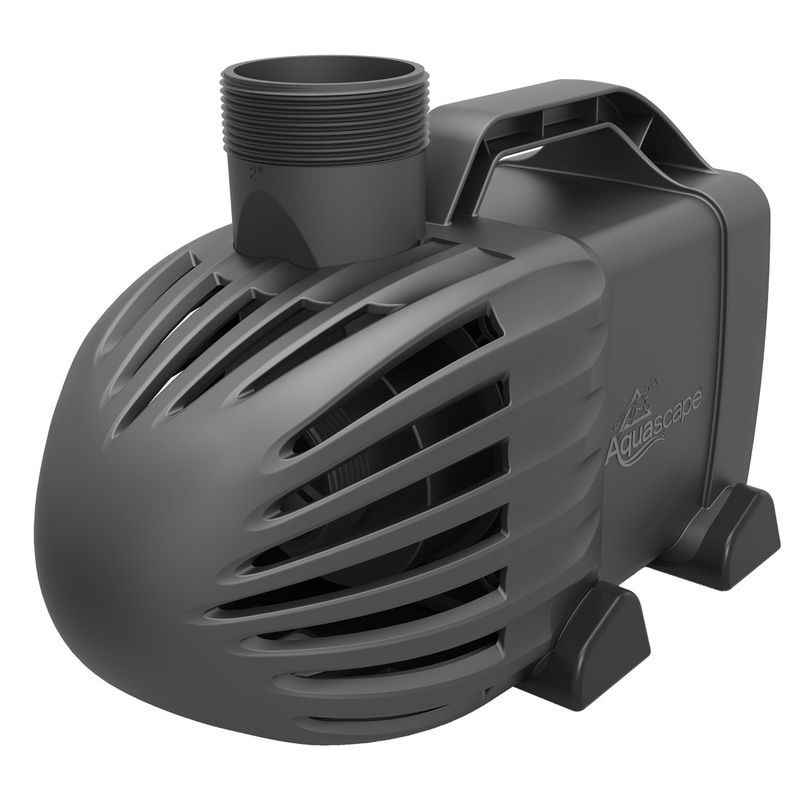 EcoWave Pond Pumps are ideal for use in pond skimmers and Pondless® Waterfall Vault applications. Protective filter screen reduces maintenance and prevents damage to the pump. Durable thermoplastic housing will not corrode or rust. High-flow vortex impeller maximizes water flow. Smart mag-drive motor provides significant electrical cost savings. Internal PC board provides high flow rates with unmatched electrical efficiency. Built-in overload sensor prevents pump damage. 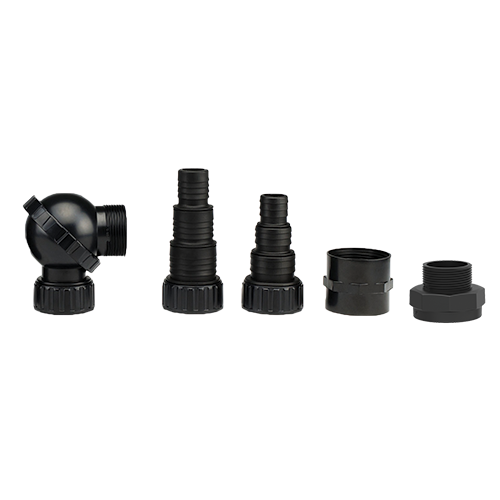 The wide, flat base and rubber feet make the pump stable and reduce vibration.